One man’s trash is another man’s treasure, as the saying goes. 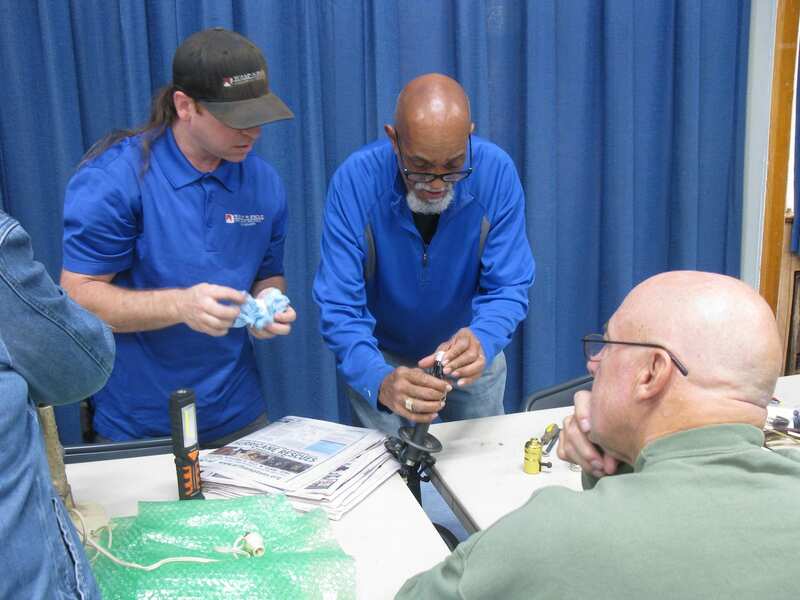 But at Repair Café, it’s more like: One man’s soon-to-be trash is another man’s Saturday afternoon. Journalist Martine Postma started Repair Café in 2009 in Amsterdam. Her sustainability-minded idea was simple: If people could have their broken possessions fixed at no cost, fewer items would end up on the world’s rising toxic trash heaps. The “café” is held in a donated space on an afternoon weekend, tapping the volunteer services of people who know how to fix things, either because they were trained professionally or are self-taught tinkerers. Anyone with a broken item, from jewelry to a bike to a television, can bring it in. No promises are made, as some items may be well past the point of saving. And no money is exchanged, only thank yous. Interest spread throughout the Netherlands, and in 2011 Postma created the Repair Café Foundation to support groups that want to hold their own events. Now there are more than 1,300 cafés worldwide, including more than 40 in the United States. In 2016, the global network of Repair Cafés kept more than 550,000 pounds of trash out of landfills. 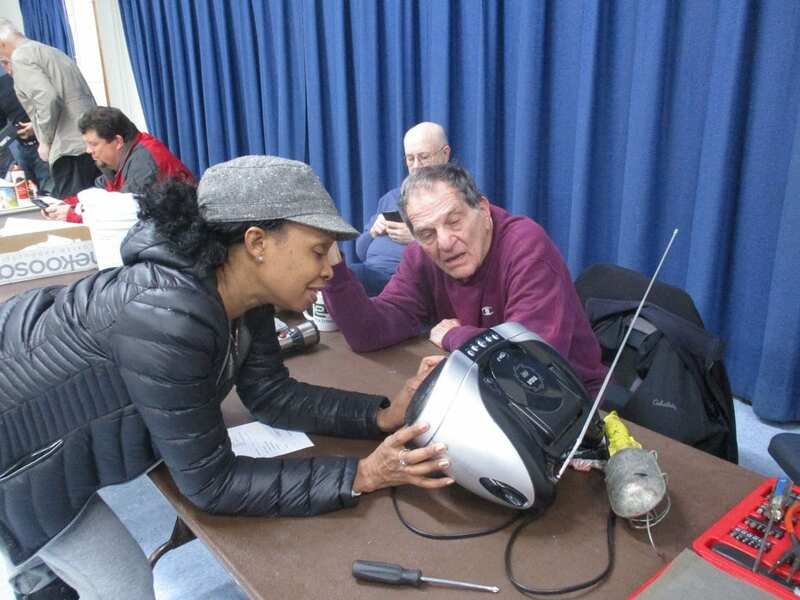 Laurie Farber learned about Repair Café through a webinar last year. And though she is not a fixer, she knew her town of Wyandanch, 40 miles from Manhattan, should have one. “I find it disheartening to see how much stuff gets thrown away and how easily things get trashed without even trying to save them. We’re such a disposable society,” says Farber, who is executive director for Starflower Experiences, an educational nonprofit dedicated to helping people enjoy and appreciate nature. One of the repair coaches is John Hernson. Though “150-percent fully retired,” he is an expert at fixing everything except electronics. Hernson read about the café in the newspaper and thought it sounded like a challenge. He packed up “the usual assortment” of tools — “tapes, screws, soldering stuff and whatever I can fit into the box” — and headed to the church. He has volunteered at all five cafés and plans on being at the upcoming one in November. The challenge isn’t finding people who will dedicate three hours on a Saturday every few months — it’s being ready to fix anything. “If it’s broken, bring it” is the café’s unofficial motto. And so repair coaches must expect a gamut of items, including flickering lamps, armless teddy bears, blenders that don’t blend, bracelets that won’t clasp and lawn mowers that couldn’t harm a blade of grass. “One of the questions I always get is, ‘How do you deal with the parts? '” says Farber. She asks repair coaches to bring in any parts they’ve got handy. Often they will team up and share parts, as well as tips on how to tackle tougher projects. A local hardware store donates generic parts like sockets and wires that can be used on many items. At the end of the day, not everyone leaves Repair Café with a fixed item, but they may leave having made a new friend. Occasionally, bystanders save the day. Ayana Byrd is a freelance writer whose work has appeared in The New York Times, O and Rolling Stone magazines.